A whole bunch of awesome getting ready to ship. Shopping for outdoor gear and learning about new products can be fun, but what if there was a way you could get a collection of products delivered right to your doorstep every month geared specifically toward your recreational habits and activities? Thanks to Rob Little, CEO and Founder of Cairn subscription boxes, there is. How does it work? If you're familiar with subscription boxes like Birchbox, Craft Coffee and the like, the model is essentially the same. For $25 per month, subscribers receive a box of outdoor fun. Though you don't get to choose the products you receive, as with other subscription services, part of the fun is not knowing what's coming. It's a chance to try items from brands you might not be familiar with, and it's akin to getting a surprise gift in the mail every month. So, what's in the boxes? 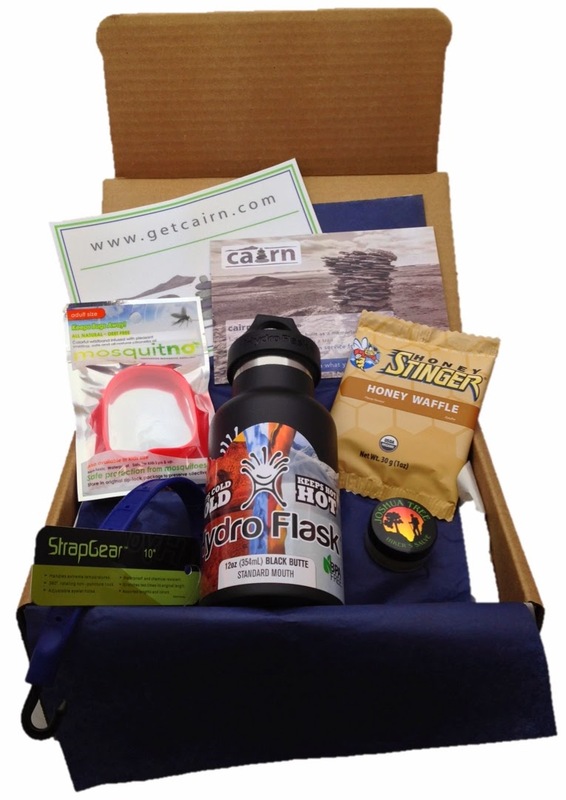 At the moment, each Cairn box contains products in general categories like gear, apparel, food/nutrition, and skin care. A Hydroflask water bottle, Old Ephraim utility straps, a Honey Stinger waffle, a Mosquinto band, and Joshua Tree salve arrived neatly wrapped in the complimentary Cairn box I received earlier this month. As I hadn't provided any information about the outdoor activities I enjoy, I was excited to see each item is universally useful. Box contents change each month, and when you subscribe, the Cairn team asks for demographic information to help them understand what products to offer. Ultimately, Rob hopes to offer different types of boxes in different price ranges, and to curate products that fit the interest of subscribers based on information they provide. Down the road, he envisions a high-end Cairn box that could contain tents or sleeping bags, for example, if there's interest. But if you don't know what you're going to get, what's in it for you, the outdoor adventurer? Aside from the fact that I love getting "surprises" in the mail, even if I know they're coming, I love the idea of being able to try new outdoor products. Thanks to Cairn, I could try Honey Stinger waffles without buying an entire box, and I learned about two companies I'd never heard of (Old Ephraim and Mosquinto). So there's that. Plus, if you're a subscriber, you can earn points toward free boxes (250 points) by referring friends (100 points), providing demographic information (25 points) and reviewing the products you receive (25 points). What's in it for the Cairn team and the brands they partner with? In general, it's a brilliant business model for both sides of the equation. The Cairn team curates a collection of products and either purchase the products from brands at wholesale, or receives them at no cost. 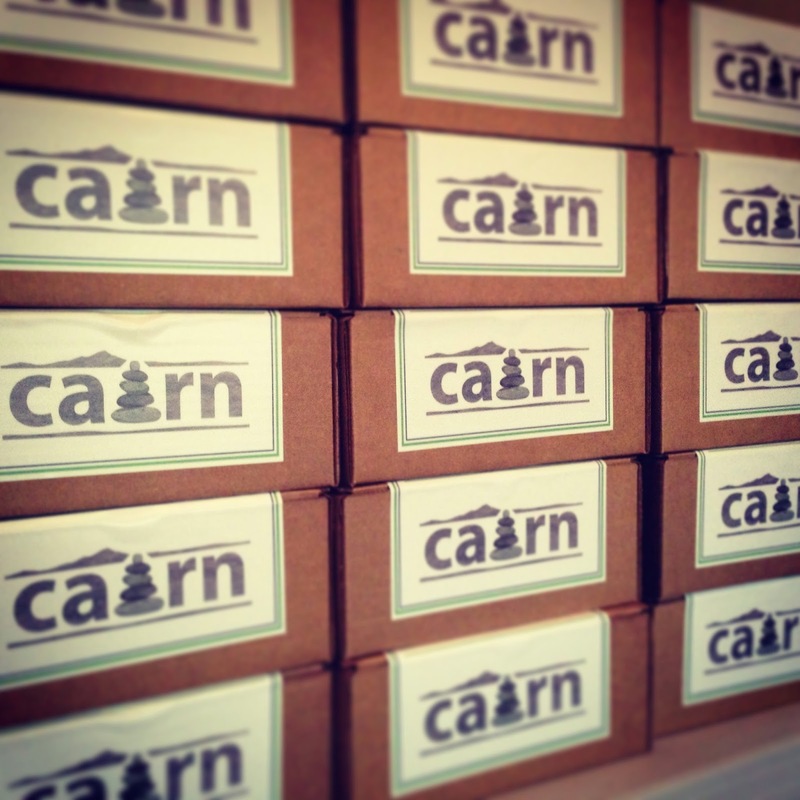 The products go in the boxes, and Cairn collects the $25 monthly subscription fee. The brands featured gain exposure to new audiences, but there's more to it than that. With established companies that have a wide subscriber base like Birchbox (as of August 2013, over five million boxes shipped), brands actually pay to have their products featured in the boxes. So, in addition to collecting the subscription fee, Birchbox collects revenue from brands due to their ability to reach people and the demographic data they collect. And that data is invaluable. Rob explained that though Cairn will never, ever share personal information about subscribers, the demographic information subscribers provide can be of great use to outdoor brands. Knowing, for example, that a certain percentage of men in a specific age bracket in a specific area of the country like fly fishing, or the majority wear a size medium shirt, is incredibly valuable for brands looking to refine what they stock and how they market their products. In the future, the more specific subscribers get, the better the boxes will be. If, as a subscriber, you let Cairn know you're into hiking, wear medium sized beanies, and love taking your dog out on adventures, they'll be able to tailor what you receive in your boxes. While there may be months where all subscribers receive the same box, Rob hopes to put a box in every subscriber's hand that best represents their interests. It's a win-win for everyone involved. Sound good to you? Me too! Visit Cairn's website to learn more and sign up for a monthly subscription. Subscriptions also make great gifts; keep that in your back pocket for the holidays. Do you subscribe to any other monthly boxes? What kind of products would you like to see in boxes like these? Also, a huge thanks to Rob Little for chatting with me about Cairn, and for sending me a box to try. 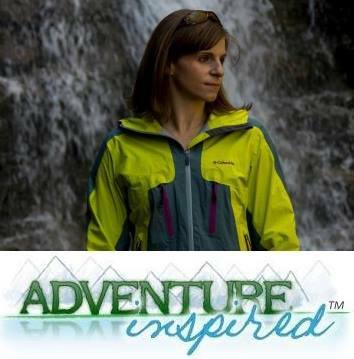 If you do sign up, it would be much appreciated if you listed katie@adventure-inspired.com in the "referred by" field! I'm a subscriber of Cairn and LOVE what I've gotten so far. Can't believe I'm getting more that $35 of products in a $25 box. Can't wait to see what's in next months box! I use Graze... $5/week and I get a healthy selection of snacks. Love it. I might have to try Cairn out now. Thanks for the info! I've never heard of Graze, super cool! I'm impressed with what I've seen from Cairn so far, let me know if you try it out! Do you have a referral code so you get the refer a friend credit? Love it. Spoke with Rob on the phone today, stoked for him! Yep, and thanks for calling that out! My email address (katie@adventure-inspired.com) is tied to my subscription. Just ordered by first box and entered your email for the referral code. Thanks for the thorough review! Can't wait to get my first box.